Did you know that the largest knife in the world is smaller than the largest spoon in the world? Who would’ve ever known? There are three world records for large knives: the largest utility knife, the largest pocket knife (it doesn’t fit in your pocket just as a little FYI) and the largest Bowie knife. World’s largest pocket knife (metal item) in comparison with the world’s largest spoon (wooden item). On December 21, 2010, Garima Foundation and Pankaj Ojha from Jaipur, India unveiled the largest spoon and pocket knife to a group of Guinness Book of World Records judges. 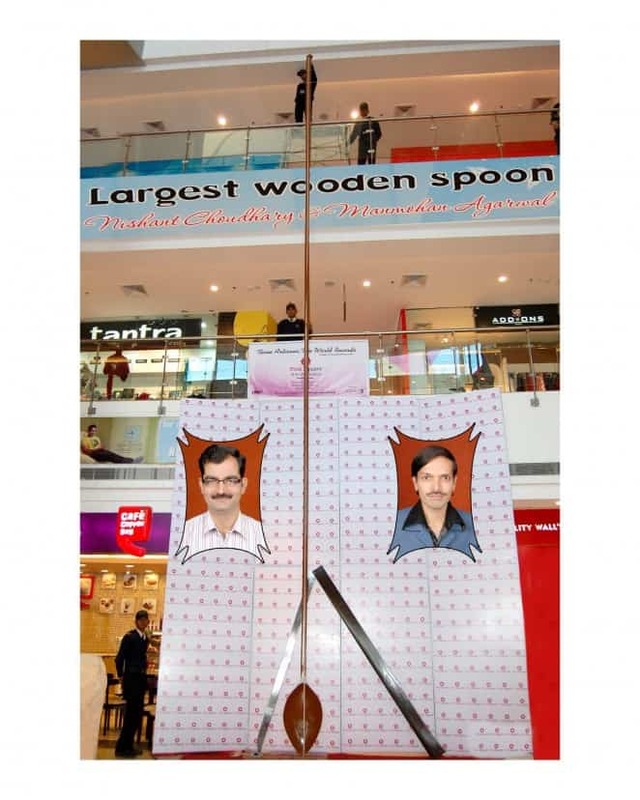 Now available for sightseeing at the Pink Square Mall in Jaipur, India, the large spoon was over 3 stories long whereas the large folding knife had a handle of 111 inches long. The blade was 97 inches long. 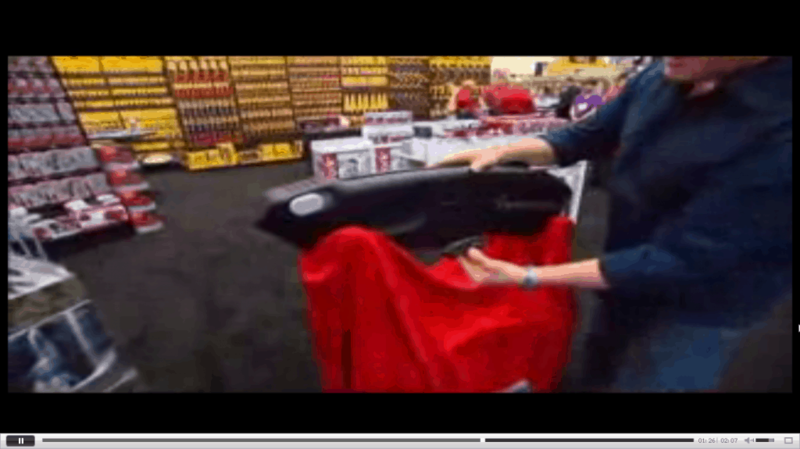 In an attempt to get more people to its trade-show booth, Olympia Tools unveiled the world’s largest utility knife, a replica of its TurboPro AutoLoader utility knife, during the National Hardware Show in Las Vegas, NV during its May 1st, 2012 event. As you can see from the photo, it is huge. It was used to display the AutoLoader’s ease of replacing a blade. Yes, the blade is huge as well. 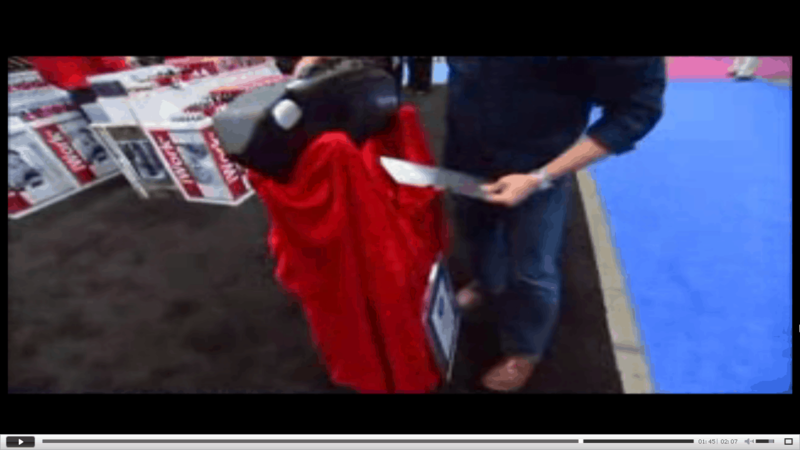 World’s largest utility knife blade. 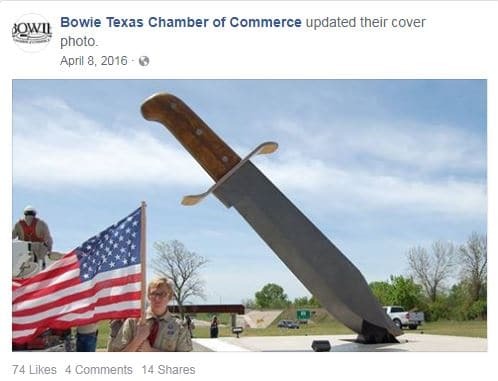 In April 2016, the town of Bowie, Texas unveiled the largest Bowie knife in the world at 3000 pounds, 20 feet long with a 14- foot, 5-inch long stainless steel blade. It went on to earn a spot in the Guinness World Book of Records. It took three years and $170,000 to complete and is a boon for tourism in the area. The name Bowie—both the town and the knife—comes from James “Jim” Bowie, who is best known for his role in the Texas Revolution and the Battle at the Alamo. Those are the three largest knives in the world. If you enjoyed this, check out the 3 best machetes, how to buy a pink pocket knife, and top 3 Balisong knives. 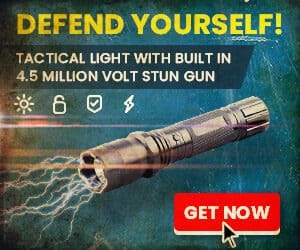 The Single Best Self Defense Product You Will Own! This is like a sale on STEROIDS! 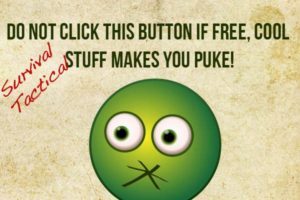 Knifeup.com is a participant in the Amazon Services Associates Program, an affiliate advertising program designed to provide a means for us to earn fees by linking to Amazon.com and affiliated sites. 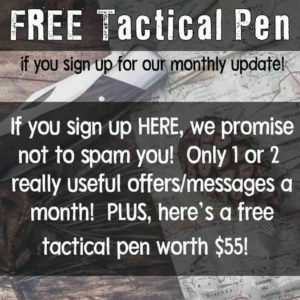 "I've been looking for knife and weapon law guides for awhile and KnifeUp's articles are amazing. I haven't found such clear law advice anywhere else. I was really happy I found KnifeUp." "KnifeUp's series of knife reviews was really helpful. I found a great knife that did exactly what I wanted to do thanks to them. They also helped me save $30! 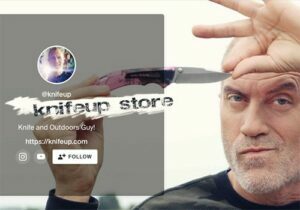 I love KnifeUp." "I'm relieved that there is someone out there protecting me and my weapons rights. When something threatens my rights, KnifeUp is the first to inform me."